Did you know that Kindle owners can now add non-Amazon ebooks and personal documents to their Kindle libraries and have them synced over Whispernet and archived in Amazon’s cloud for free? That means you can download ebooks from free ebook websites and DRM-free websites that offer MOBI and PRC formats, and a few other additional formats (listed below), and add them to your Kindle library to read on Kindle devices with the perk of syncing last page read, notes, bookmarks, and highlights. Currently this feature is only available on the Kindle Keyboard, Kindle 4, and Kindle Touch. It would be nice if they added it to the Kindle apps too, but the service requires a Kindle’s free email address to send the files to, so that provides an obvious problem. To send ebooks, documents, and images, all you have to do is open a new email, attach the files you want to send, then send them to your free Kindle email address. That’s it. Amazon will save the files to your account and send them to your Kindle over Wi-Fi. Go to the Manage Your Kindle page under the personal documents section to see how much space you have left and to delete added ebooks and documents. If you don’t know about the free Kindle email address, that is explained over on the Kindle Format Conversion Guide. Amazon offers 5GB of free space for personal documents and ebooks, enough for several thousand ebooks and documents. Now if Amazon would just add EPUBs to the conversion service that would be huge. EPUBs convert to MOBI so well, and likely Amazon’s AZW format too since MOBI and AZW are so similar. Below is the list of supported formats from Amazon’s help page for the Kindle personal document service. They forgot to add .PRC to the list so I added it after testing one to make sure that it worked. The above file types can also be combined in a compressed ZIP (.ZIP) file. ZIP files are automatically opened up by the conversion service, converted to the Kindle format if needed, and sent to your Kindle and stored in your Kindle library. Some complex PDF files might not format correctly on your Kindle. 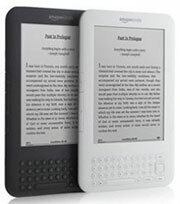 If you prefer to have your personal PDF documents converted to the Kindle format so you can take advantage of Kindle functionality such as variable font size, annotation, Text-to-Speech, etc., type “Convert” in the subject of the e-mail when you submit your personal document to your Send-to-Kindle e-mail address. For pdf files, it works quite well just to drag and drop then into the kindle, but I have to read them in the landscape mode. The only pdf file I sent to Amazon for conversion came back un-openable. True, though you would think that once they are added to the Cloud, they would be available to the Amazon apps as well. Yeah, that is a downer not being able to get them on the apps. They should at least enable it for Kindle owners that already have the email address. I can’t understand this – I have access to uploaded documents (converted to Kindle format) on Kindle Keyboard, iPhone and iPad but I cannot seem to access them in the Mac App. Is this just a delay in updating the Mac version of the Kindle app? It’s really annoying when I just want to get things done. This article needs updated for 2014. PalmDOC .prc support was broken with the update that added narrow margins, more fonts and other features. I haven’t checked to see if it’s been fixed, not likely. It’s also supposedly possible to upload any .mobi file for syncing across devices by e-mailing it to the @kindle.com address associated with your device. The trick is figuring out which e-mail goes to which device if you have more than one because Amazon just names them your 1st, 2nd 3rd etc. The only ones tagged with an identifiable name are the Kindle programs for Windows and (I assume) Mac.